Moisturizing the skin is important at all ages. For young women, it’s about slowing the aging of the skin; for more mature women, it helps preserve skin health and youthful appearance. The epidermis has the function of preserving moisture and maintaining optimal hydration. This capacity decreases with age. 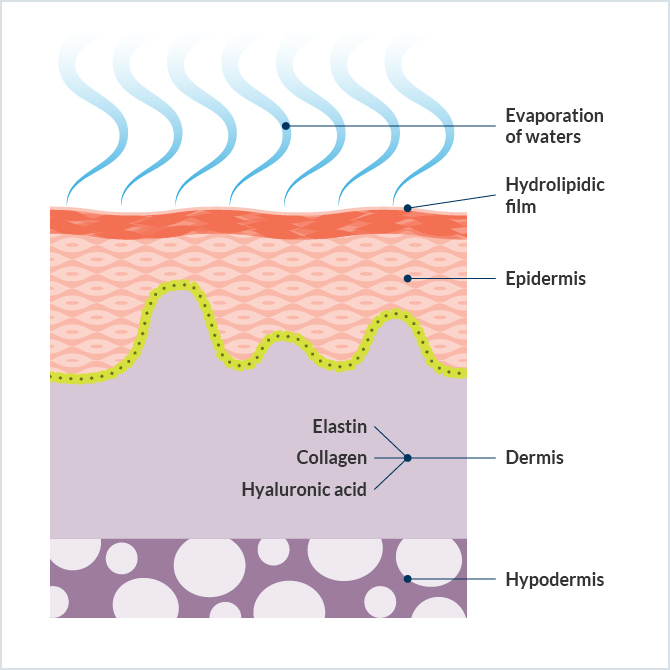 Aging of cutaneous cells thus causes a decrease in hyaluronic acid whose role is to “trap” water inside the epidermis. 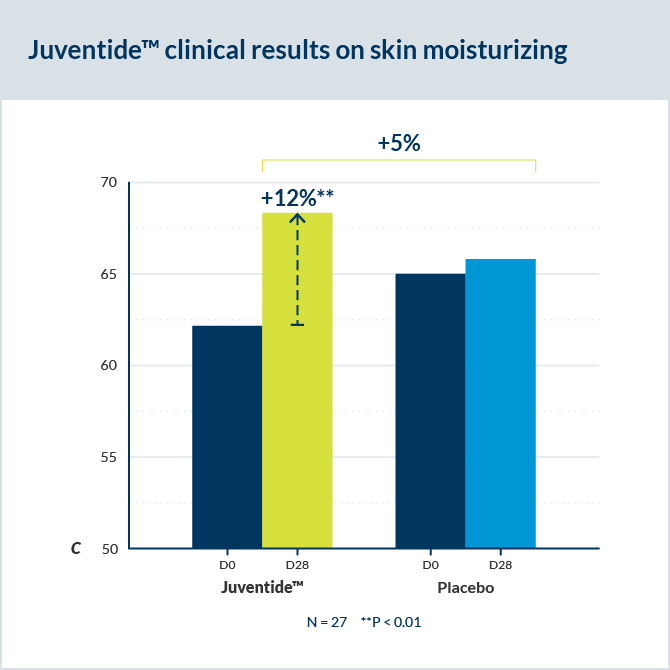 A clinical study was conducted with the objective of evaluating the efficacy of a cream containing 1.6% Juventide™ on skin moisturizing, versus a placebo. After 28 days, results showed that Juventide ™ significantly increased skin hydration by 12% and provided healthy-looking skin.